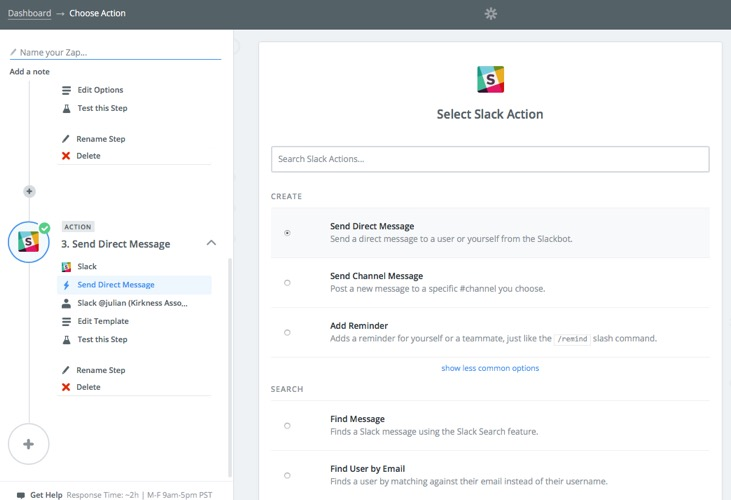 As you may know, Airtable has direct integration with Slack 'out of the box'. 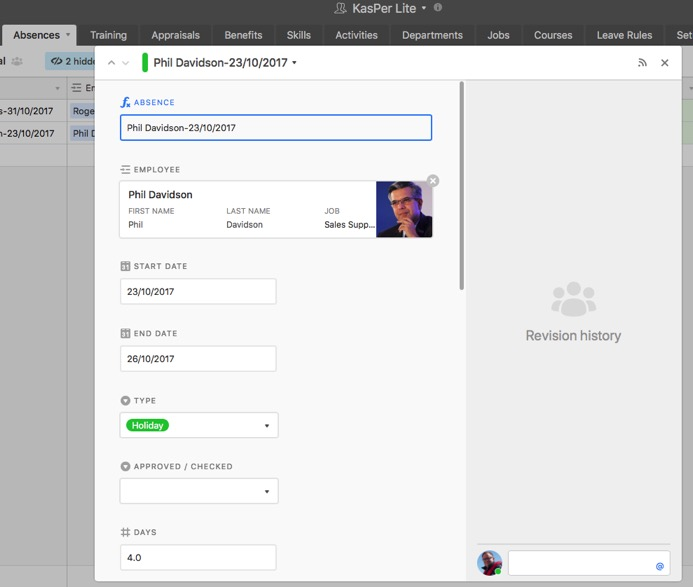 In this article, I am going to discuss how to use this to build an absence approval workflow, starting from an employee's request through to notifying them of approval (or otherwise) - and with a little help from Zapier along the way. You can see the record at the bottom of the list in the Main View. The purpose of this view is to drive the approval process (and to provide a simple view through which leave can be approved or denied). 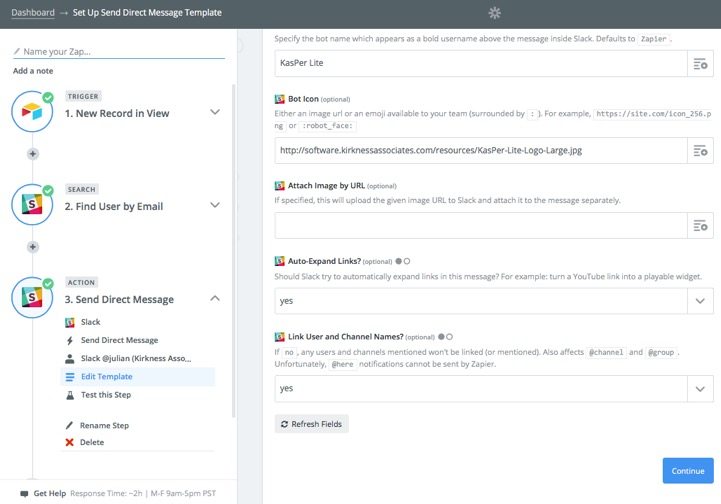 So now let's look at how we can use this setup to create the approval workflow itself. So the record can be directly edited here after just one click. 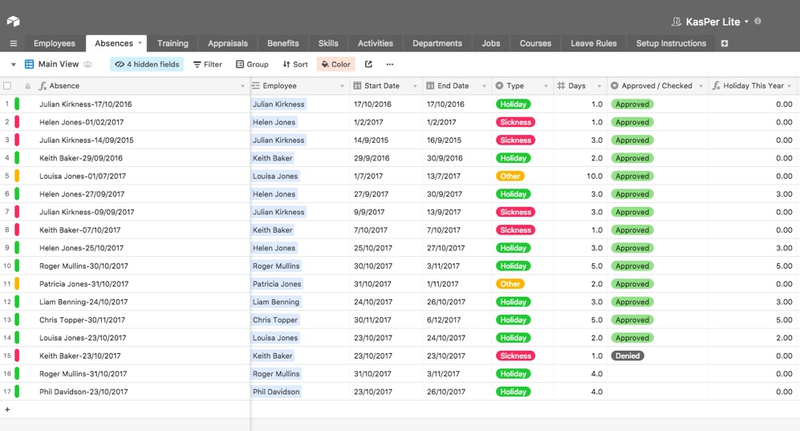 So we now have a process where absences can be authorised - but what about letting the employee know? 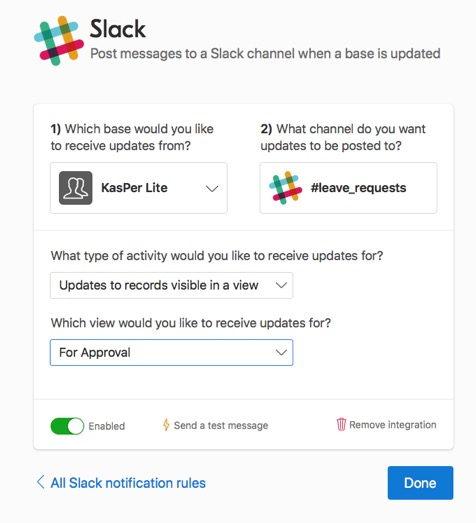 The simplest answer would be to set up another Slack notification to another Channel where employees could see updates - but this isn't keeping employee information very secure and should be avoided. Better to send an message directly to the employee to notify them. 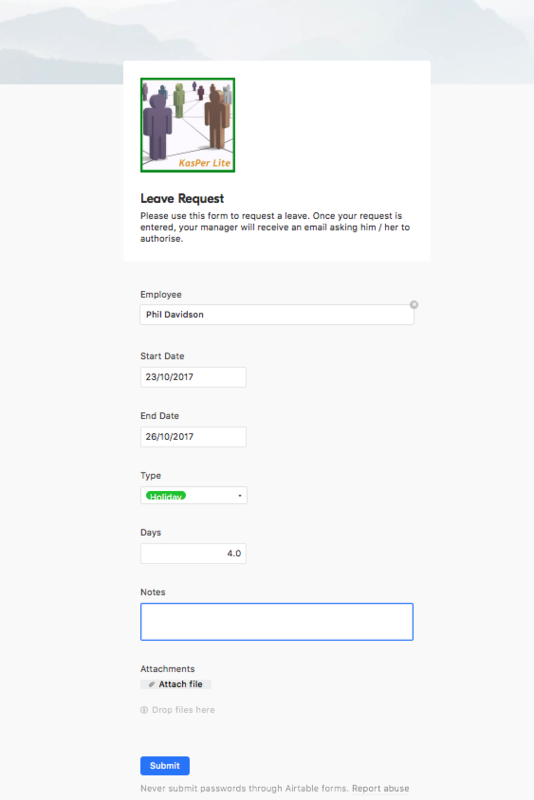 To enable this, we have 2 other Views in the Employee Table called 'Approved / Checked Leave' and 'Denied Requests'. 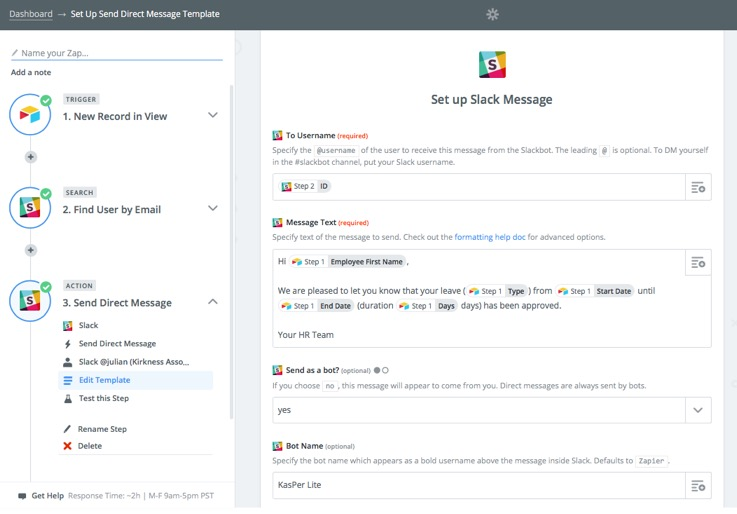 What we're going to do next is to add a Zap which looks at this View and when there's a new record, sends an Slack direct message to the employee. 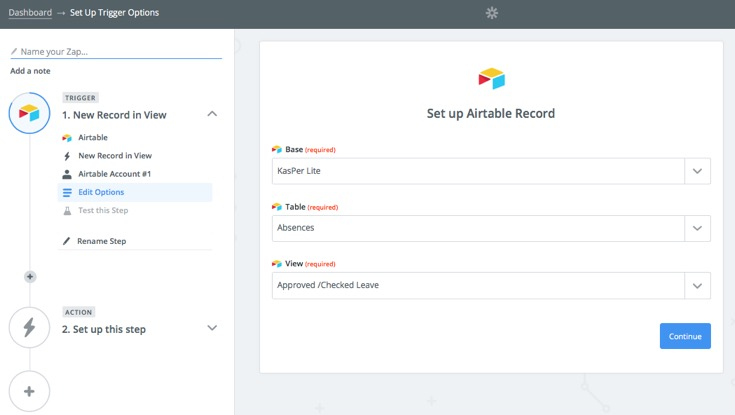 To simplify this process (for when we get to Zapier), we have added a Lookup field to the Absences table which gets the employee's email address to the Absences table - and another for their First Name. Generally these would be hidden in the Absence Views. 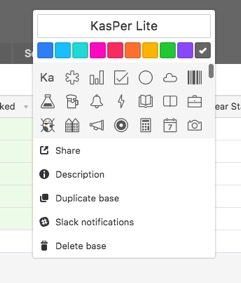 If you have an earlier copy of KasPer Lite from Airtable Universe then you need to add these yourself - but the latest version includes them. 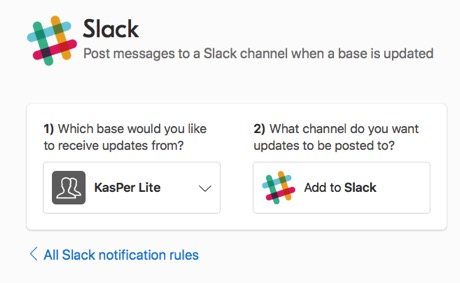 So in the to box, we select the ID of the Slack user found in the previous step and the message itself should be fairly explanatory. You can then specify a 'Bot' name and, optionally an icon - these will identify to the recipient 'who' the message is from. In this case I have called it KasPer Lite and provided a link to the app's logo on my website. 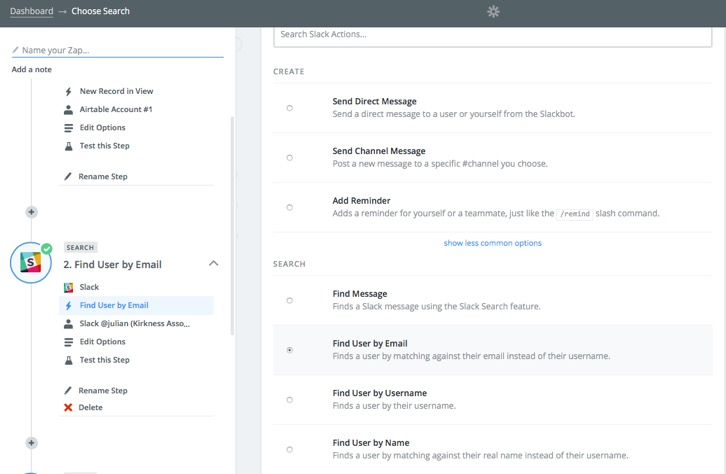 Note that this handles the messages for Approved leave requests. You can effectively duplicate this process for denied requests by using a Zap based on new entries in the 'Denied Requests' view - apart from this and the actual text of the message the zaps would be the same. Note that, because this Zap has 3 steps, you would need a paid Zapier account. 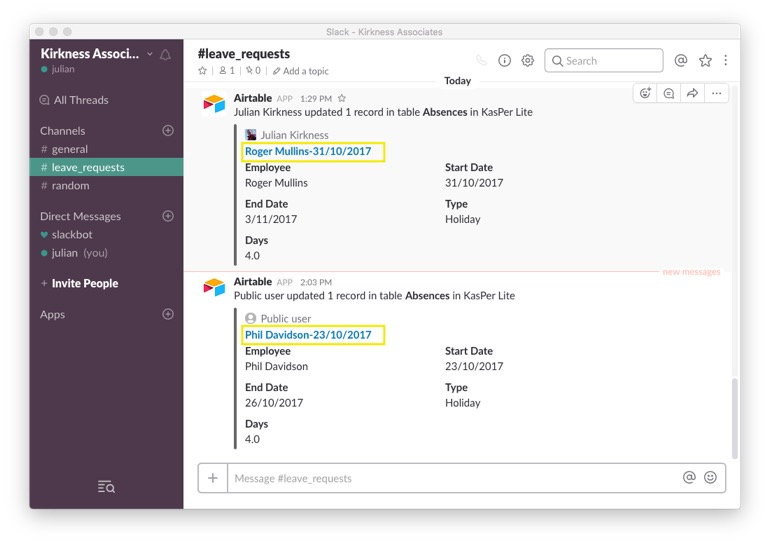 If you only have a free account then you could still achieve this but would need to store the employee's Slack user ID in Airtable and have it as a Lookup field in the Absences table. 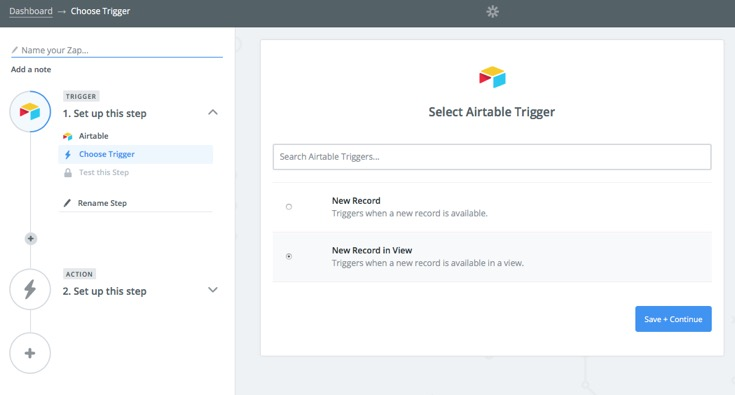 This is just one example of how you could use Slack and Zapier to automate workflows around Airtable. I hope you've found this article useful and please feel free to make any comments or suggestions!